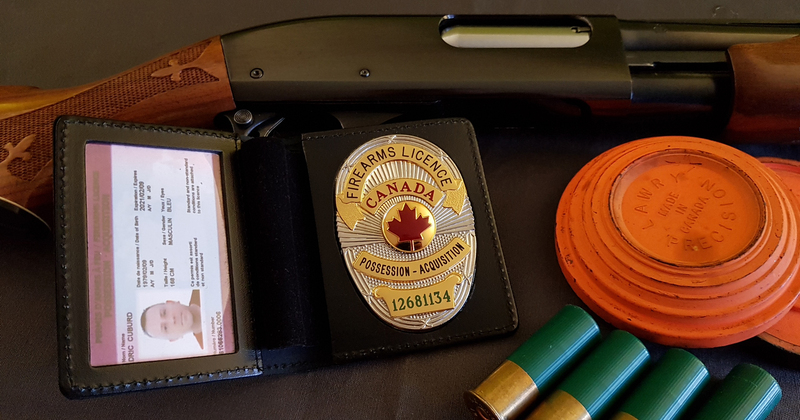 National Badges is proud to offer exclusively to the Canadians its firearms licence badge program. What a great way than to embellish your firearms licence with a personalized badge. Several choices of finishs are offered as well as top-quality leather accessories. Your firearms licence number will be engraved on your badge. What will make it unique. To order your badge, select your province. Pour commander votre insigne en français, cliquez ici. These badges are conceived to decorate your Canadian firearms licence. They are not official identification. Only a valid firearms licence is required for the acquisition and\or the possession of a firearm in Canada. These badges ARE NOT an individual authorization to carry a firearm. The article 130 1b) of the Canadian Criminal Code stipulates that: Everyone commits an offence who not being a peace officer or public officer, uses a badge or article of uniform or equipment in a manner that is likely to cause persons to believe that he is a peace officer or a public officer, as the case may be. The prices may vary according to the American currency.